1860s CDV photo of Grand Duke Nicholas Nikolaevich of Russia (1831 - 1891), who was the third son and sixth child of Tsar Nicholas I of Russia and Alexandra Feodorovna (ID'd on reverse in pencil). 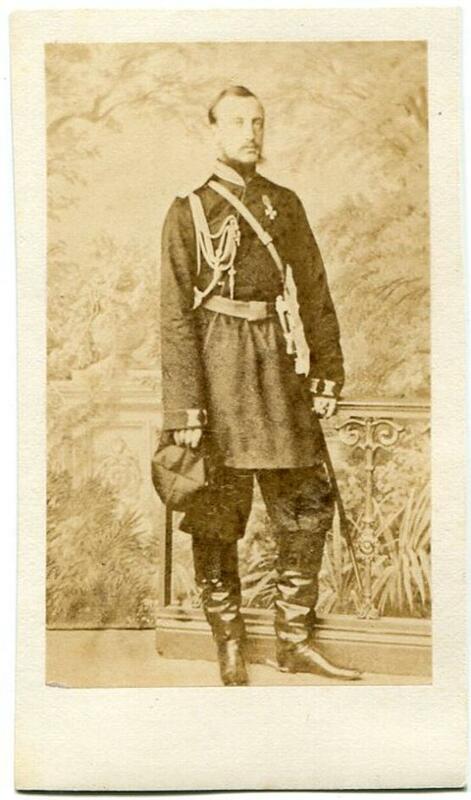 Trained for the military, as a Field Marshal he commanded the Russian army of the Danube River in the Russo-Turkish War, 1877–1878. No photographer backmark. * SIZE : Approximately 2 1/4 x 4 inches.